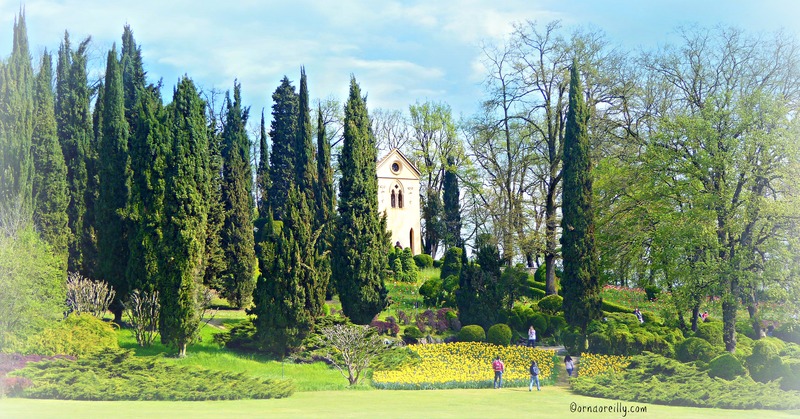 Voted “Italy’s Most Beautiful Park” Sigurtà Garden Park, whose gates are open from early March to early November, is a stunning feast for the eyes and the perfect venue for a family outing. 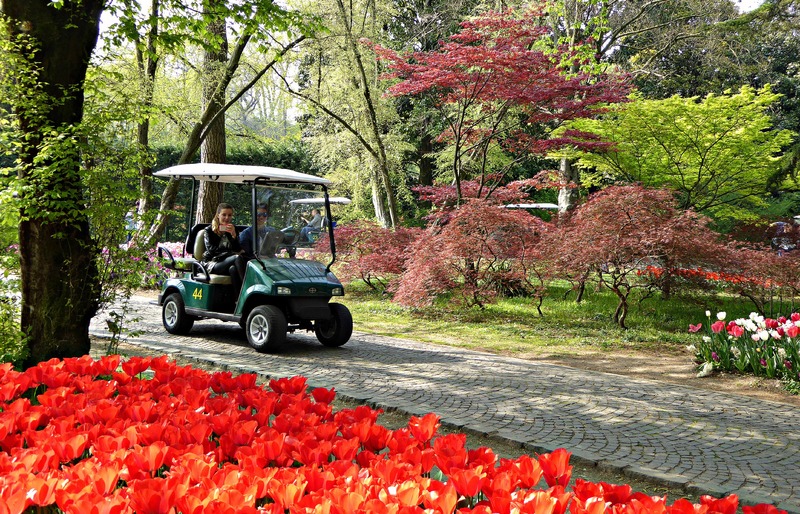 Upon arrival, one can hop aboard an electric ten-person shuttle bus, complete with guide, or hire a golf cart with its own GPS system for a tour around the park. 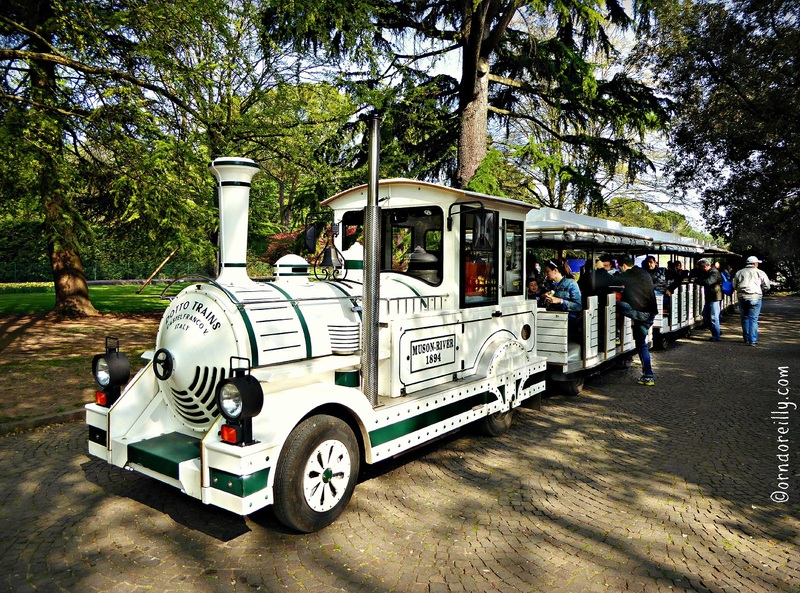 There’s a smart white train too, that circumnavigates the park’s Enchanted Trail. Bicycles are available for the more energetic visitor. Failing all these modes of transport, there’s always the good old-fashioned option of walking the beautiful lawns in one’s bare feet — which is encouraged — or merely lounging on the grass with a picnic while the younger members of the family run about in safety. 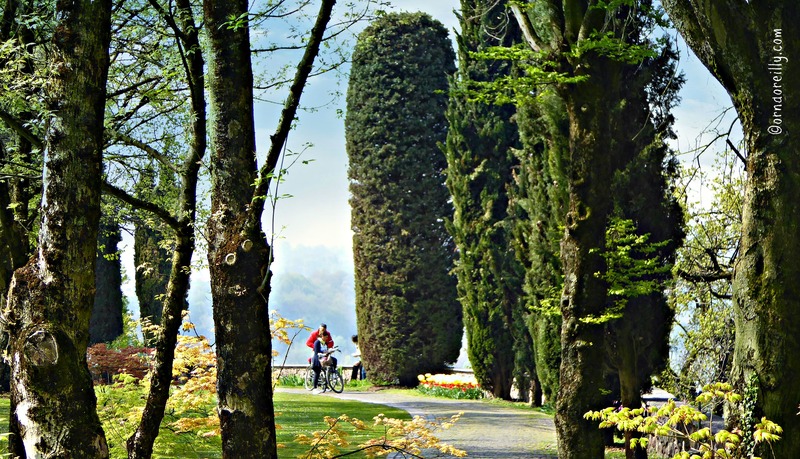 Among the many and varied things to see and do in this lovely park along the banks of the River Mincio is the Maze. 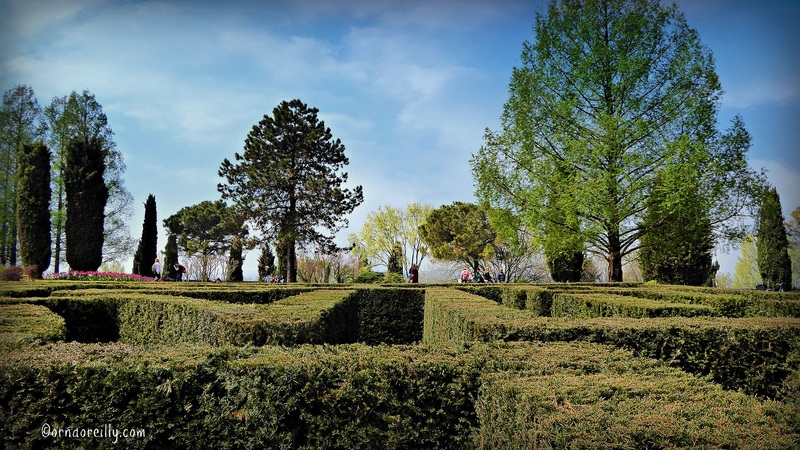 Of traditional design and great fun to explore, this labyrinth comes to you complete with “emergency exits” for the faint-hearted and a few look-out points for those who lose their bearings. 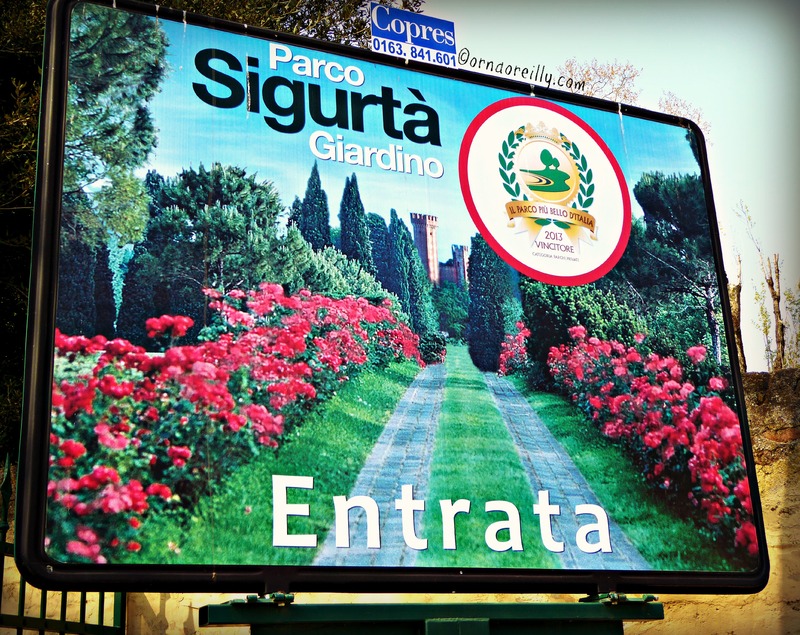 Among the other fascinating things to view at Sigurtà Garden Park are The Water Gardens, The Turtle Pool, The Great Lawn and Flowering Lakes; all well worth a visit. Superbly shot, Orna. You and your camera did well this day. Brava! Thank you Lyn. 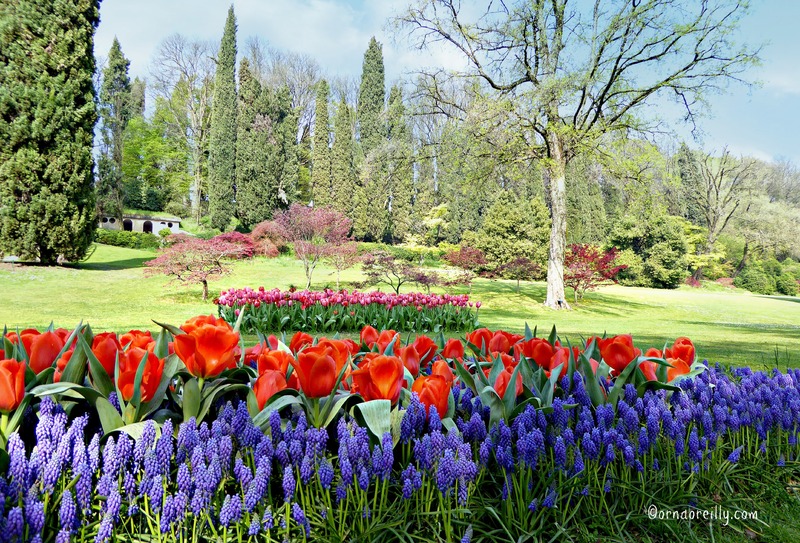 Honestly, the gardens and tulips were so eye-poppingly colourful that it was difficult to do justice to so much beauty. I’m delighted you liked them. You give yourself too little credit. Your photos are stunning! I’m ready to go now…..a beautiful place to walk and picnic. Can you bring your own bottle of wine? Orna, what a spectacular array of photographs, and your description of the area was sufficiently tantalizing to drop everything and visit immedistely. Congratulations. Yes! 🙂 So many to see!